We are finally moved in to our new house and LLLLLOOOOVVVVIIIIINNNNGGG it!! It is so nice and new and beautiful!! We feel so blessed. On saturday, Ben spent all day putting up our baby gate and handrails (Bet you can’t guess what my next post is??) as well as these beautiful rolling doors from Rustica Hardware! This door is Rustica’s Rip Top Door, which I fell in love with because of all the texture!! 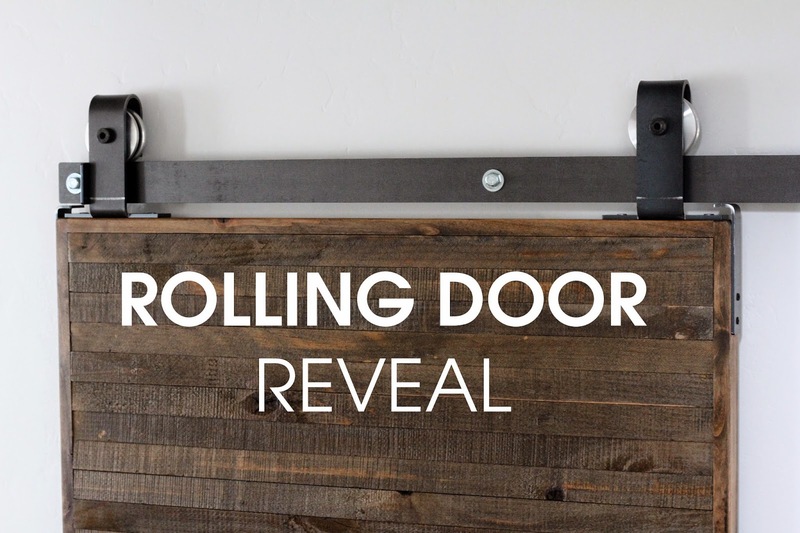 We put it over our mud room so that we could close it when it was messy (which is turning out to be all the time…) Because of our white walls we needed something eye grabbing and this door was perfect! One of Rustica’s slogans is “live in art” and I totally agree that this door accomplishes that. Even the hardware is gorgeous! It is art that is breathtaking to look at and yet so functional. The other door we got is Rustica’s Mirror Door and oh my, the pictures don’t even do it justice! It really is a work of art, and it’s the biggest full length mirror I’ve ever seen! PS. Rustica has a showroom in Springville, Utah for those of you that are local and want to check it out! They have all sorts of doors and hardware you could bring home today! If not, they of course do online orders as well. The doors are gorgeous. I love both of the them. You are correct… they are functional and beautiful. I love the rich texture. I love this idea. They are both perfect and beautiful! I am so impressed. You go girl! 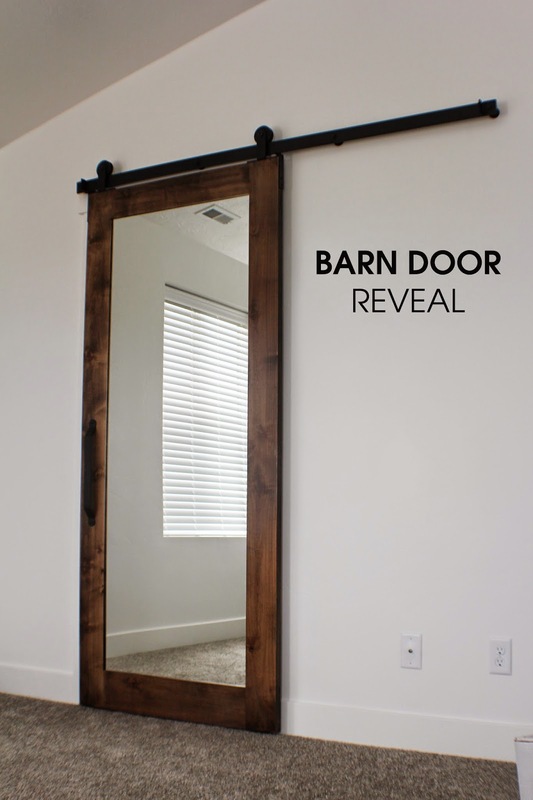 These barn doors are GORGEOUS!!! Pinning for future reference(which mean purchase-lol)! Thank you for sharing! I love how this looks! I might have to find a place to do this in our home. Thanks for sharing. These doors are stunning! I love the wood, the hardware, the mirror, everything! Love the idea of the mirrored door. I see you have molding around the doorways, is there a special allowance on the hardware or are they adjustable? This mirrored door is amazing. I love everything about them. 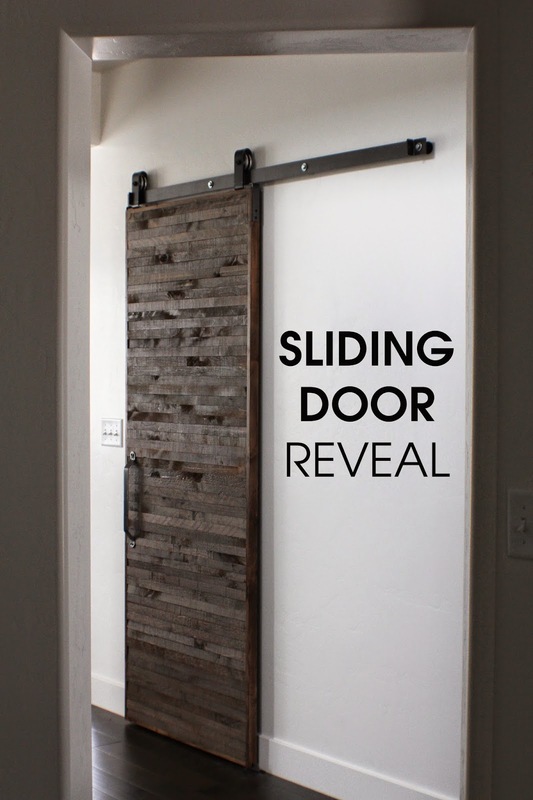 I absolutely love tese doors.They look amazing and add wonderful character to the home. Thank you for sharing 10+ Ways to Use them with us at the Healthy Happy Green and Natural Party! I am pinning and sharing! What a fabulous idea! Love how the door slides (so takes up less room!) and has the mirror as well. Thank you for sharing this with us at the Hearth and Soul hop. Pinned! Congratulations on your new house! Those doors are gorgeous and I absolutely love them! Thanks so much for sharing with #ShareTheWealthSunday! Can't wait to see what you link up next!